Ah YouTube.. yes, a topic which I have not approached in quite a while. If you are a frequent reader of my blog, I'm sure that you know that I have a YouTube channel (http://www.youtube.com/user/LittleEllieMae). I used to make videos on there nearly every week. But unfortunately I haven't made a video since October... sorry about that! I felt like I owe you an explanation, as I kind of just disappeared from the YouTubing world just like that. So, as you probably already know, I'm in Year 11 at high school now which means that I'm doing my last year of GCSEs (yay! ), which also means that I am just a few weeks away from a month worth of exams in the summer (boo!). Due to this, I felt like I really needed to settle down in Year 11 to focus on my studies so I can get the high grades that I really want. This is part of the reason that I stopped YouTube all those months ago, because I felt like it was such a distraction and also it took up a lot of valuable study time (what with filming, editing etc.). Also, I felt like, because my brain was so overloaded with exams, revision and coursework my creativity started to really lack. I was not 100% happy with the content I was creating so I felt like I needed a break to build up more ideas for the future. Now for the more exciting stuff! First of all, I wanted to thank you for 300 subscribers which I hit last week which is super cool! Of course, its not 4 million like Zoella, but I'm so ecstatic about 300 because its weird to think that the same number of people as over two year groups of my school genuinely want to watch my videos but it makes me so happy! Its so cool, so thank you! Also I can finally say that I am definitely coming back to YouTube in the summer. I'm so excited because I'm going to be doing so much cool stuff this summer so I can't wait to take you along on my little adventures! I have a better camera, better editing skills and I will have a whole lot more time to focus on it! However, this is where you come in. I want to create a HUGE list of video ideas so that I can never run out of creative ideas again in the future. I want to make videos that you enjoy watching so please, let me know anything and everything you can think of that you'd like to see on LittleEllieMae in the future! May it be hauls, vlogs, challenges, tags.. anything! I want some really different and creative ideas to play around with! Also, I'm looking to collaborate with more people so let me know who you would like to see me collab with! Leave your ideas below in the comments section or tweet me @LittleEllieMae ... I can't wait to hear your ideas and thoughts! P.S. 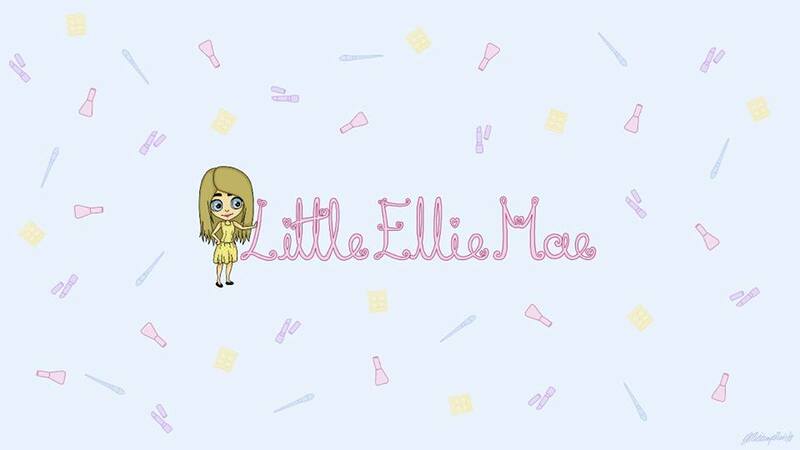 Make sure that you're subscribed over at www.youtube.com/user/LittleEllieMae to be ready for some new videos heading your way soon!